Essex & Morris is a full service paving and general contracting company that has been providing excellence in asphalt, curbing, and concrete design for over 20 years. The quality of our work is attested by our strong customer relationships and valued commitment to 100% customer satisfaction guaranteed. Call today for your free estimate and allow us to show you the Essex & Morris difference. 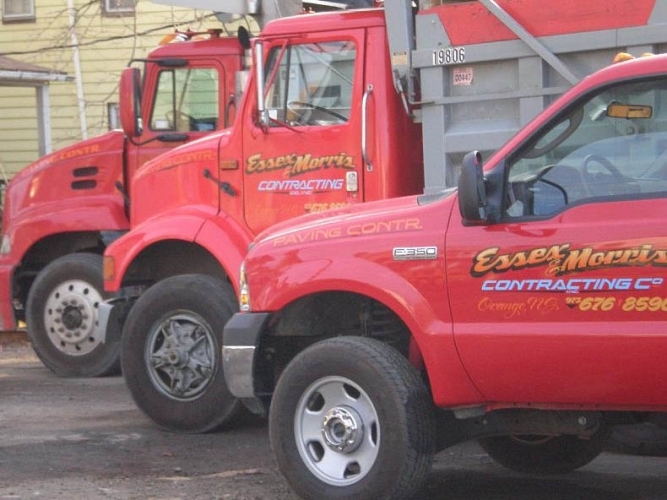 Essex & Morris Contracting Company was founded in 1984 by John Trezza. Today, under Mr. Trezza's leadership, Essex & Morris has grown to become one of the most reputable and reliable paving contractors serving the northern New Jersey area. Our company utilizes the most advanced technology and extensive fleet of equipment the paving industry has to offer. Our staff consists of highly trained professionals that understand the value of perfection and the importance of exceeding a customer's expectations. Essex & Morris is prepared to handle any task no matter what the size. All jobs are completed in a timely and professional manner. A contract with Essex & Morris reassures the customer of dependability, service, and the completion of projects on schedule. Two decades after going into business, we continue to please our customers through superior service and impeccable performance.